We are excited to offer an expanded list of classes for our 2014 season!!!!! The Island Gymnastics Academy is expanding its recreation program to enable the club to offer more classes, which is great news to those waiting to register their children. Pre -Registration will be accepted between NOW and June 4th, 2014 for existing members, after which time registration will be opening up to the public. OUR FEES ARE NOT INCREASING THIS COMING SEASON. We are a non-profit organization; therefore we do not charge HST. Our SCHOOL AGE RECREATION PROGRAM will run for two terms with 17 weeks in each term. (In the past we have offered three eleven week terms.) The age group for this category is also changing. Should you wish to register your child for more than one class, we allow a 10% discount of the second tuition fee. You do not pay the $16 registration and insurance fee again. As our term is longer, to assist you with payment we have several options. B) Half payment by September 5th and the balance written by post dated cheque for October 16th to be received at time of registering. To the Academy office, you may drop the membership form and payment in the box on the office door or return it to staff in the office. The membership form and payment can be mailed to the academy at the above address. The membership form and payment may be given to our registrar during GYMSTRADA (June 5th 6th and 7th) But remember registration will be opened up to the public at this time. Nancy will be located in the upper foyer at the UPEI Gym on the Thursday evening and directly following the Tiny Tot acts on Friday and Saturday. REMEMBER: There is a 10% discount for each additional child you are registering. Discount applies to the lower tuition fee. On the registration form please ensure you indicate the class requested for the fall. If the class requested is full, we will contact you. For your information the Academy office will be open for registration between June 9th and 13th from 9:00 am -3:00 pm. Fall classes begin Friday Sept 5th, 2014. Please mark your calendar as we do not send out reminders. 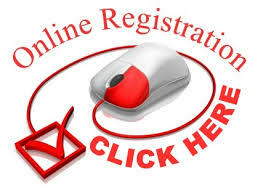 The Class Schedule and Fees 2014/15 and our Registration Form can be found to the right of the home page.